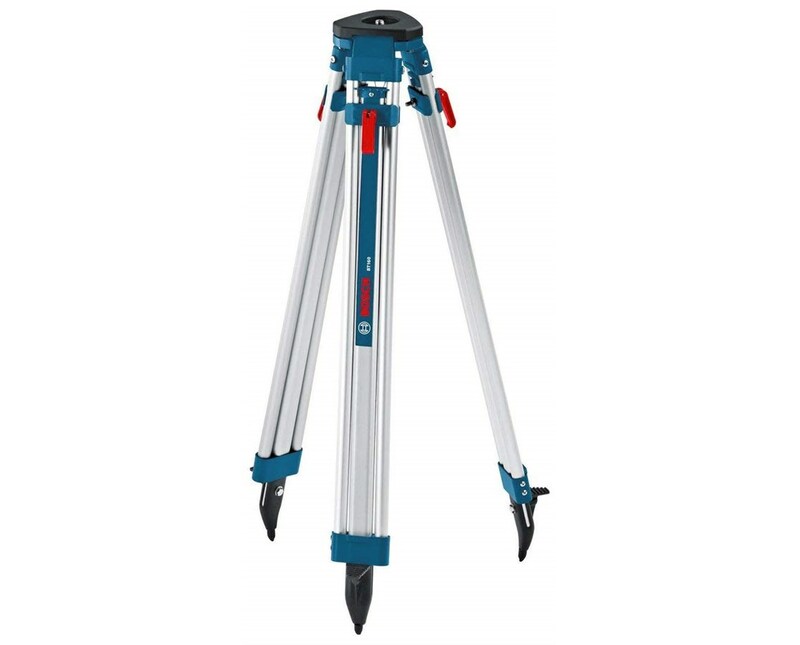 The Bosch Aluminum Contractor’s Tripod is a reliable tripod that provides solid support for rotary lasers and other surveying and construction equipment. It offers elevation up to 63 inches when fully extended and collapses to 38 inches ensuring easy storage and convenient transport. With its aluminum construction, it is lightweight and guarantees long-lasting durability. 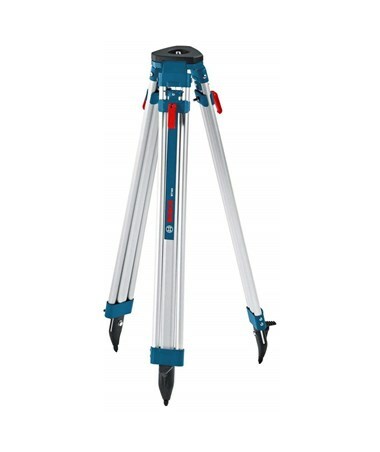 This contractor’s tripod by Bosch features a universal flat head with 5/8-11 thread to allow simple mounting in an instant. Equipped with quick clamp locking system, its three adjustable legs can be easily set to any desired height. Its pointed metal feet maintain stability on flat, hard, and uneven surfaces. It also comes with a string hook for attaching plumb bob to ensure accurate alignment. 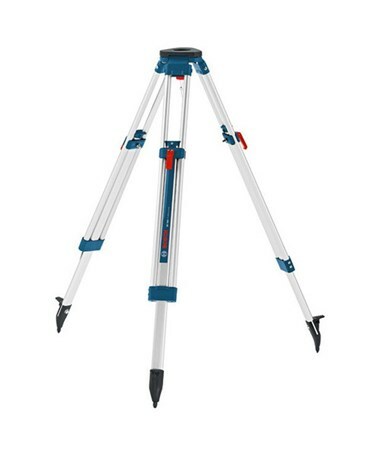 The Bosch Aluminum Contractor’s Tripod comes with electrostatic powder-painted casting for additional strength and resistance to abrasions. It also includes a heavy-duty poly webbing shoulder strap for comfortable carrying from one jobsite to another.